Overlooking the Straits of Malacca, the hotel sits at the heart of historic Georgetown on the equatorial island of Penang. It’s only 4 km from the renowned restaurants on Gurney Drive, and a quick cab ride from the sandy beach at Batu Ferringhi. The city’s commercial district is right on our doorstep and the main shopping centres are a short walk away. Georgetown has been awarded UNESCO World Heritage status, and visitors keen to discover Penang’s 19th-century churches, temples, British colonial architecture and pre-war houses will be delighted to discover that most of these fascinating heritage sites are easily accessible within a gentle stroll. 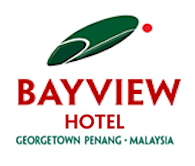 The hotel is in the northeast corner of Georgetown, only half an hour’s drive from Penang International Airport (PEN) in the south of the island. Most international travellers stop over in Kuala Lumpur, Singapore or Hong Kong en route, before transferring for a shorter second flight direct to Penang. The most popular carriers include Cathay Pacific, Malaysia Airlines and Singapore Airlines. From the airport and the south of the island, take Jalan Sultan Azlan Shah, Route 6, for 1.5 km. Then take Lebuhraya Tun Dr. Lim Chong Eu, Route 3113, to Lebuh Light in Georgetown. Merge back onto Route 6 for 4 km, then rejoin Route 3113 and continue to Pengkalan Weld. Continue on Lebuh Light, then take Jalan Sultan Ahmad Shah and Lebuh Farquhar to Leith Street. The hotel is next to Friendship Park and has free covered parking for guests. Driving from Georgetown to Kuala Lumpur on the mainland takes around 4 hours. Taxis can easily be hailed at the airport and in Georgetown, and most of the taxis in Penang are metered. There’s a taxi rank in front of the hotel, fares to the airport start from MYR50, and the journey takes around 30 minutes. Line 401E Rapid Penang buses leave the airport every 30 minutes and take around 75 minutes to reach Georgetown. Bus tickets start from MYR3. 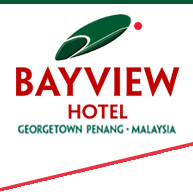 From the bus stop in the city centre to the hotel taxi charges start from MYR15, while our nearest bus stop is a 3-minute walk away. A weekly tourist bus pass allows unlimited travel for MYR20. For more information on getting around the island, please visit the tour desk in the hotel lobby.